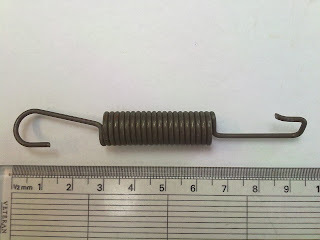 Everyone is looking forward to spring but some people are looking for 027645, an original British Leyland return spring. This part has recently been brought to the surface as part of our quest to bring all of the parts we have to market. This original BL return spring is not a boxed item and is sold loose. If you would like to purchase one of these springs please call Revington TR on 01823698437 or purchase direct from our website by clicking on this link.Return Spring - 027645 This spring has multiple applications from TR2 - TR6. Retail including vat £3.46. Traders - Please call Alan for your discounted, bulk purchase price.